Today was my 1st Snow Day from school due to an ice storm. 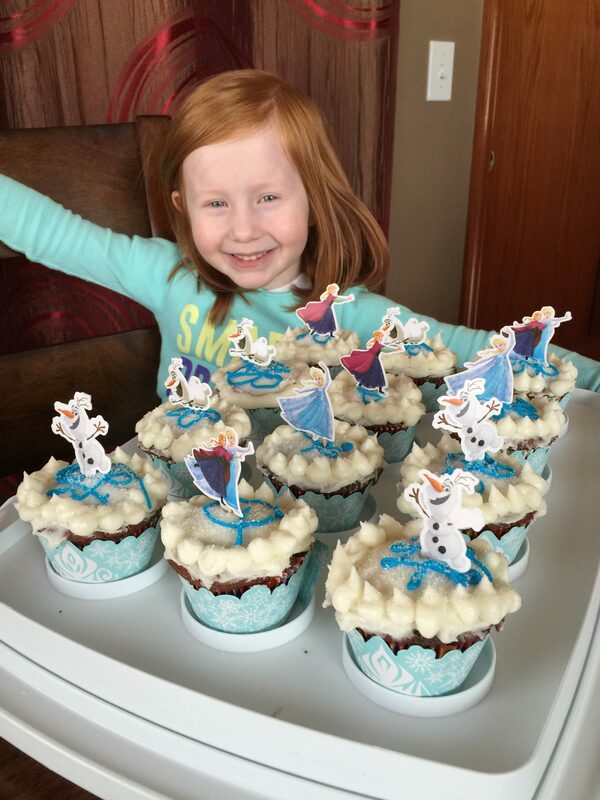 I made these Frozen cupcakes. So perfect – ice queen & icing on an ice day!